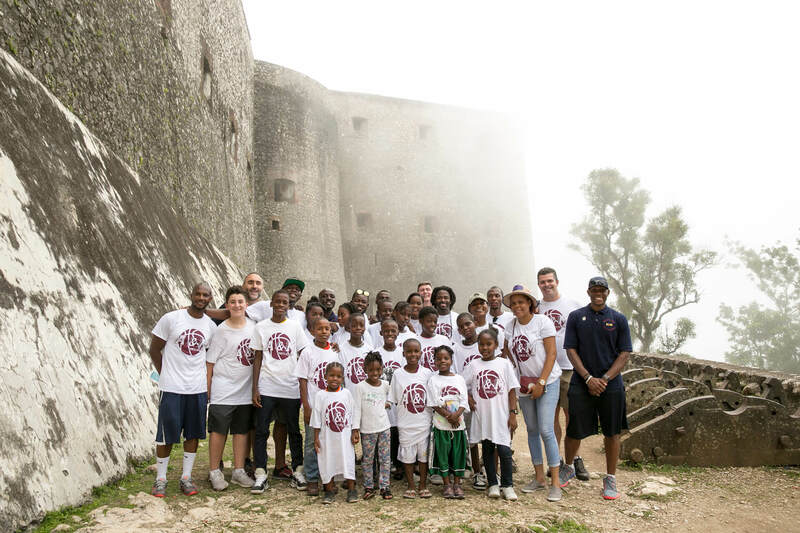 For our fourth annual trip, we launched our cultural and history tour initiatives, which gives our students opportunities to experience Haitian cultures and places that they might otherwise not have access to. 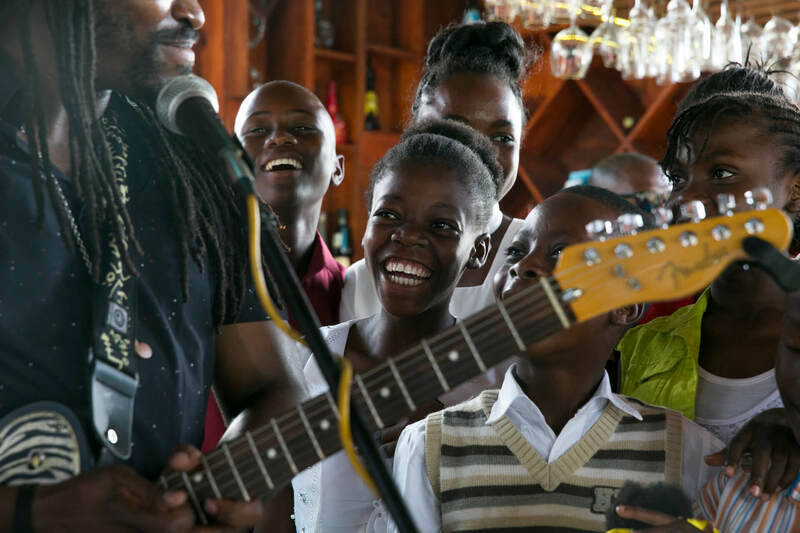 Each year during our visit to Haiti, we strive to provide our students with experiences that they will be able to use as inspiration to continue to strive in their lives. During this trip, we focused our efforts on giving the students multiple opportunities to learn about local Haitian culture. To kick off the trip, we launched our Historical Tour Initiative, which is an annual experience lets the students see places that they might otherwise not have access to. While the Citadel is less than 200 miles, it is about an 8 hour drive because of the road conditions through the Haitian mountains. 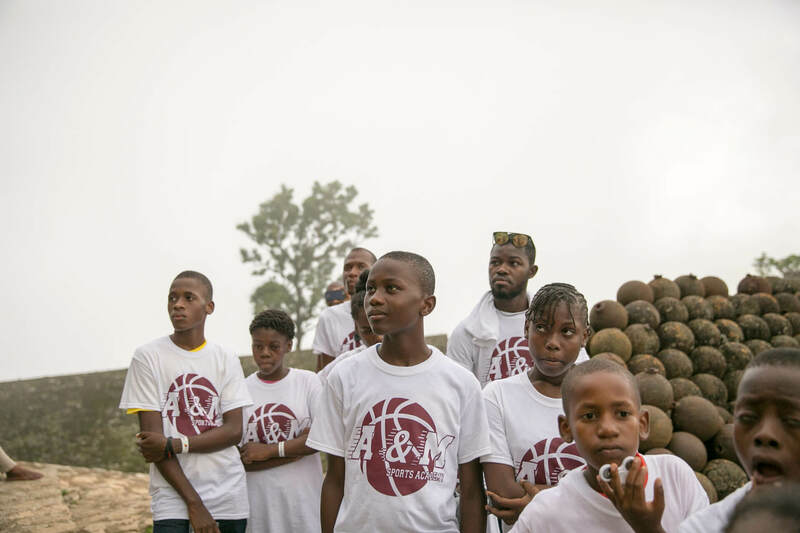 This trip marked the first time the majority of our students had ever been outside of Port au Prince and got to see see their country's landscape. Visiting the fortress and learning about the incredible sacrifices and achievements of their country's heroes was a great way to reinforce the belief that they can achieve success in their lives. Our team and students on the base of The Citadelle. Once we arrived to Nord, Haiti, we had to walk up the mountain for about an hour to get to the actual fortress. The culmination of each trip to Haiti is a formal awards dinner to acknowledge and honor the hard work the students are putting forth in the classroom. 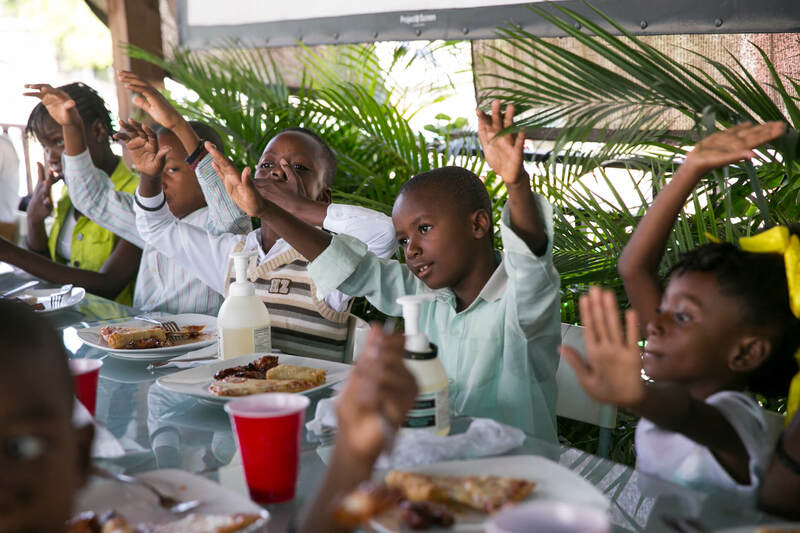 This year our banquet was held at Chicken Fiesta in Petionville. 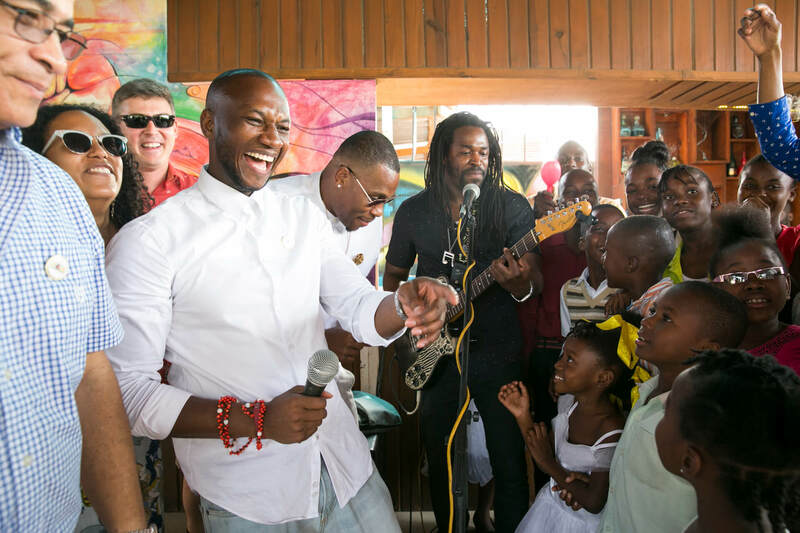 During the festivities, we were blessed by a moving performance by Smax Music, a well known Haitian musician who travels the world spreading his message through songs of positivity. The majority of our students had never been to a live music concert, and they were able not only to listen to Smax play, but meet him and ask him questions about his life and career. The students dancing at the formal dinner. A health clinic in the Community Center. 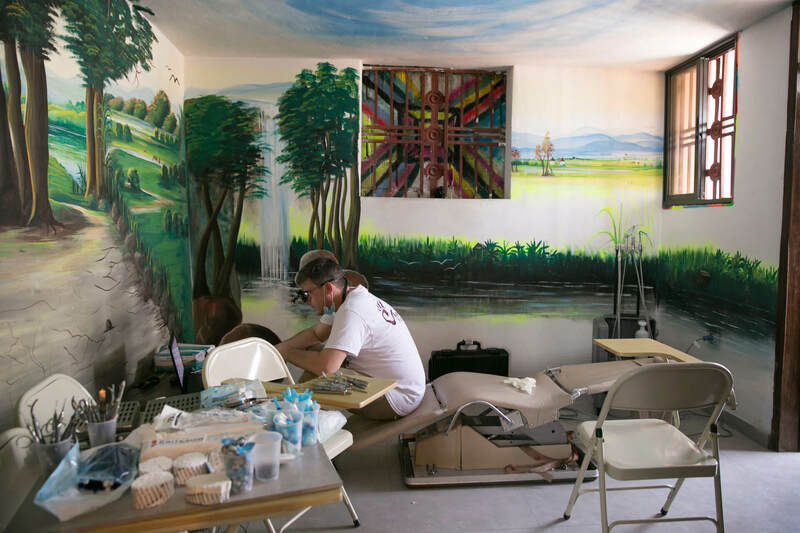 During our trip, we facilitated our 1st dental and health triage held at our community center. With the tireless efforts of Dr. CJ Loflin and local pediatrician, Dr. Marie I. Parent, all of our sponsored students were able to receive dental and health care. Everyone was given a complete check-up as well as much needed vitamins. 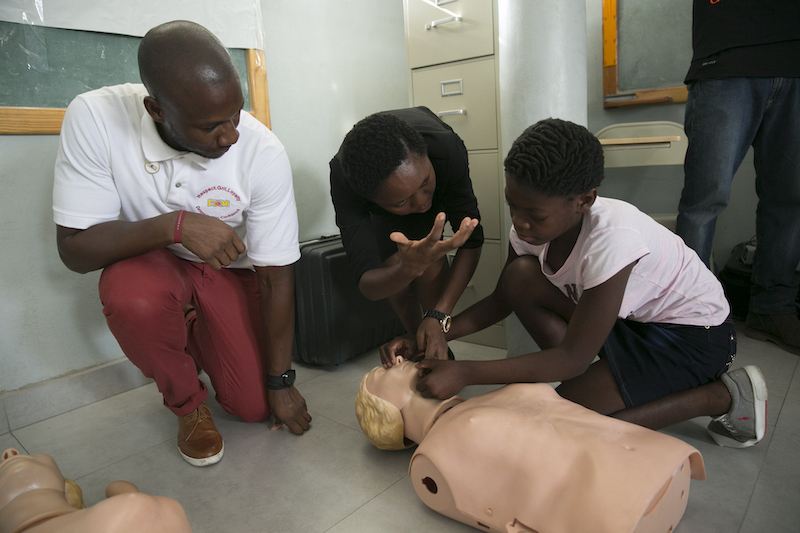 We also hosted a CPR and disaster training courses for the students and their parents. Dr. CJ Loflin setting up the portal dental clinic in the Community Center.